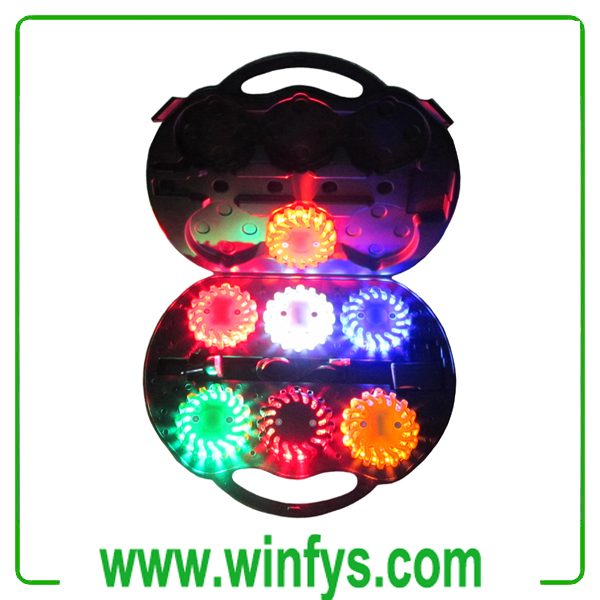 Winfys is the leading manufacturer of led road flares in China.The Led Road Flares Kit is a simple and extremely rugged traffic safety device to identify road hazards, signal for help, mark detours, underwater scuba or repair applications. It is widely used for Citizens, Police Departments, Sheriff Deartments, Fire Departments, Highway Patrols, Dept. of Transportations, Dept. of Public Works, Public Utilities, Air Rescue Services, Hazardous Response Teams, U.S. Army, U.S. Air Force, Railroads, Chemical Refineries, Event Parking, Truckers, Campers, Hikers, Boaters, Mountain Climbers, Skiers and Motorcyclist.